It’s been a busy week for CyanogenMod – to accompany the almost daily ports popping up for various devices, some users over at the xda-developers blog have achieved an unofficial CyanogenMod 10 port to the Motorola Atrix, DEFY, DEFY+ and the Tegra 3-only HTC Endeavor (One X). The third installment of the popular HTC DROID Incredible series for Verizon Wireless has come upon us, bearing one of the longest names we’ve encountered to date. Unlike its predecessor, which was a marginal improvement over the original however, the HTC DROID Incredible 4G LTE is a proper, pocket-friendly powerhouse. It’s becoming a bit of a trend this – using nails and hammers on smartphones. After the Nokia Lumia 900 display took some really painful hits, a guy from Russia decided that his HTC One X could do a lot better and decided to skip the hammer part all together. 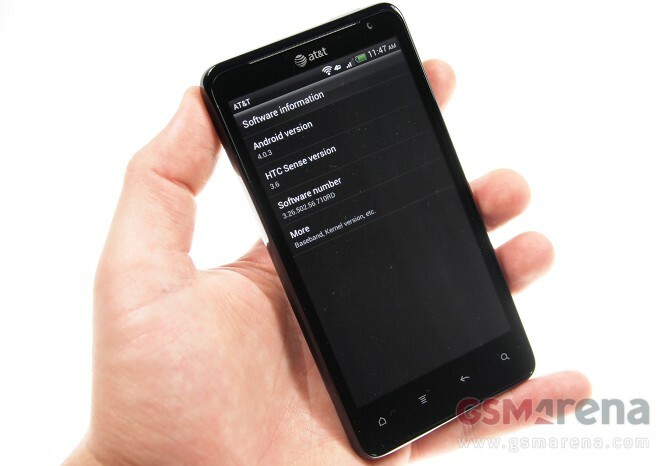 A leaked screenshot of an internal Best Buy memo caused a stir at first, promising Android Ice Cream Sandwich updates for the HTC Rezound and the Motorola DROID RAZR and DROID RAZR MAXX. The update for the Rezound should hit today, if there aren’t any problems and misunderstandings. The ICS update for the Motorolas isn’t happening though, not now anyway.